How Can I Make My Small Home Look Bigger? It’s been dubbed rabbit-hutch Britain and research has found that homes in the UK are, on average, smaller than anywhere else in Europe. With many of us living in small homes we may often wonder how to make the most of the space we have. Smaller homes sometimes equal bigger problems. These are all questions we may have asked ourselves at one point or another. But how do we learn to love our small space? And most importantly, how can we make our small homes look bigger? If you’ve got a small living space, the key is to choose your furniture wisely. Whilst it may be tempting to pick up an armchair you found on sale or an antique ornament you found at a car-boot sale, the likelihood is that you’ll just clutter up what precious floor space you have. Instead, choose one statement piece of furniture such as one couch instead of multiple smaller pieces as it de-clutters the space and can make your room look and feel much bigger. In extremely tight spaces, a full size sofa may not be an option. If this is the case, downsize! 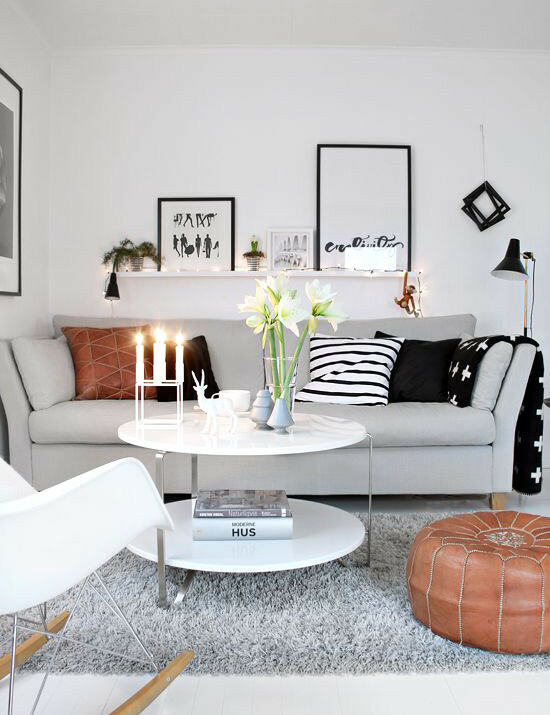 Choose a smaller love seat or smaller sofa that can work for the space you have. Also, choose a straight-backed sofa with clean lines and exposed legs to give the illusion of space. Mirrors reflect light, boost light and add depth so, where possible, position a mirror across from a window. Mirrors create a sense of openness, not only will they reflect the light but they will reflect the view too. This will make it seem like you have an extra window and will trick the eye into thinking there’s more space. Visually, light colours can open up a space and make it appear larger. Lighter colours will make a room seem brighter and can help to open up the space, making it feel more airy. Shades of off-white, blues and greens are ideal for opening up small spaces. For homes with little storage space, utilise the space above your head! Books, CD’s and other items that you don’t need access to everyday can be cleverly arranged in some over-head or recessed shelving. For an extra injection of storage, be sure to use any awkward corners for some easy corner shelving. Multi­fun­ctional items can be a godsend in smaller homes. Look out for multi-functional items of furniture that can be used to store away some of your belongings. Coffee tables or ottomans with hidden storage are ideal to conceal some of your household essentials and, when closed, they’ll keep the room looking spick and span. 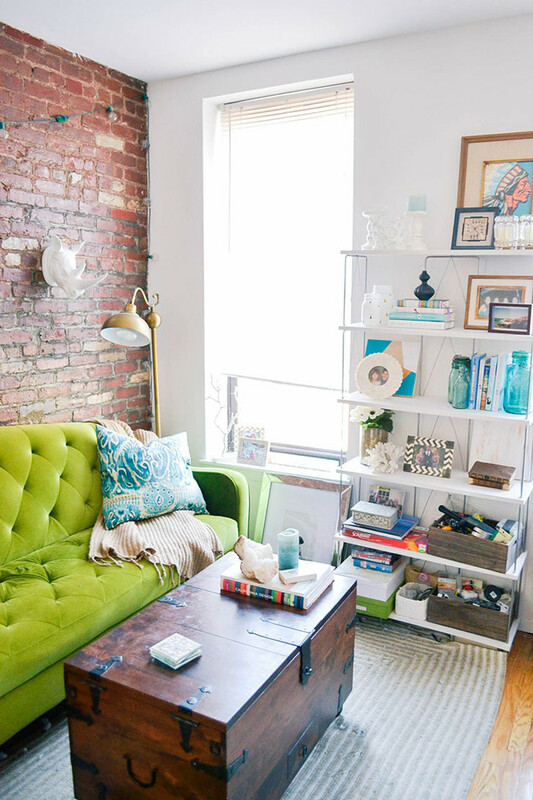 How do you make the most of your small space? Have you got any tips and tricks that we haven’t featured here? Be sure to get in touch via Facebook or Twitter!